When you announce to the world that you are trying to lose weight, no shield can protect you from the numerous weight loss tips. From drinking a herbal tea to pumping iron to various diets and eating patterns to yoga, there are many weight loss tips. But only a few of them work, rest are weight loss myths. It’s much easier to believe these tips when science proves them. Here are top 21 Proven Weight Loss Tips that can guide you throughout the weight loss journey and accelerate your weight loss outcomes. Research Study – Smartphones as Weightloss Mentors! This list of 21 Top Research-Based Weight Loss Tips can benefit you at every stage of your weight loss journey, be it about fighting the weight loss plateau or maintaining your body weight. This is perhaps one of the major steps you can take to commence on the weight loss journey. Now some of you may say that you do not consume much sugar, but you miss out on added sugars and artificial sweeteners. Sugars are a great and essential source of energy but what happens is that most individuals get their sugar from sodas rather than fruits. Sugar causes weight gain by affecting fat metabolism in liver and insulin activity. Consumption of sugar-sweetened beverages is associated with weight gain and unhealthy dietary pattern in adults as well as children. Artificial sweeteners may not benefit in appetite control in the long term. And that would defeat the purpose of replacing sugar and reducing sugar addiction in the first place. Also, a few studies demonstrate that artificial sweeteners could cause weight gain. What does this mean? Cut down on sugar and especially added sugar. Opt for natural sweeteners like stevia and honey when needed. Protein is the one macronutrient that can boost your metabolism, increase fat loss and help build muscle at the same time. And what better than starting your day with protein. A study was conducted wherein individuals were asked to consume either two eggs or bagel for breakfast 5 days a week. The study lasted for 8 weeks. After 8 weeks, the egg breakfast group showed 61% greater reduction in BMI, 65% greater reduction in weight loss, a 34% reduction in waist circumference and 16% reduction in body fat. Yogurt drink with added whey, when consumed for breakfast, is found to increase appetite and energy expenditure. What does this mean? Protein, when consumed for breakfast, helps to increase energy expenditure and accelerate fat loss. One of the significant changes you can make to your weight loss diet is to change your cooking oil and use a healthy fat like olive oil or coconut oil. Now there is a myth that saturated fats in coconut oil are not beneficial for health. But the truth is that coconut oil, and its products are rich in medium chain triglycerides (MCT). These fats are healthy since they are absorbed intact, do not get converted into harmful products and are used directly by the body as an energy source. Recent scientific research weakens the link between saturated fat and heart diseases. MCTs in coconut oil promote weight loss by stimulating metabolism and burning of fat. A study was conducted wherein women were asked to consume either soybean oil or coconut oil along with a low-calorie diet. Within 12 weeks, the coconut oil group observed an improvement in lipid profile and a reduction in waist circumference. What does this mean? Including coconut oil in the diet for weight loss is a great option since it is rich in medium chain triglycerides. MCTs don’t get stored as fat in the body and are utilised instantly as an energy source. One should not underestimate the health benefits of adequate water consumption. A review study reports that water consumption plays a vital in reducing appetite and thereby preventing obesity. Research states that adequate water consumption regulates fat metabolism and deposition and this can help in increasing muscle mass and reducing body fat. Replacing sugar-sweetened beverages with drinking water can reduce overall calorie intake up to a decrease of 200kcal/day over 12 months. A clinical trial was conducted to examine whether consuming 500 ml water before a low-calorie diet for 12 weeks leads to weight loss in overweight/obese individuals. The study assessed the effect of water consumption on appetite. Indeed the water group showed a 44% greater decline in weight than a non-water group and this group also had reduced calorie intake. What does this mean? Keep yourself hydrate by consuming water regularly before meals. Consuming 500ml water consumed 30 minutes before low-calorie meals can help in appetite control and weight loss. Consuming a good portion of dairy foods daily is a great tip for weight loss and weight maintenance. Dairy products are a good source of protein, calcium and vitamin D each of which helps accelerate fat loss. A study investigated the effects of a low and high dairy diet with or without calorie restriction on body weight. Without cutting down on calories, high dairy diet caused a significant reduction in total fat and fat in the trunk region. It also led to an increase in lean mass and improved blood pressure and insulin levels. The low dairy group didn’t experience significant changes. With calorie restriction, both groups experienced weight loss, but the fat loss in the high dairy diet was twice that of low dairy diet. What does this mean? Adding dairy to diet boosts weight loss owing to its protein and calcium content. Consuming dairy like yogurt can help slim your waistline. Dietary thermogenesis accounts for 10% of the total energy spent in a day. Spices raise dietary thermogenesis. In fact, spices have been found to increase metabolic rate similar to caffeine and alcohol. Turmeric is the spice that has taken the health industry by storm. It is blessed with a number of medicinal and pharmacological properties. A clinical trial was conducted where curcumin supplements were given in addition to diet and lifestyle changes for weight loss. Curcumin increased weight loss outcome by diet and lifestyle changes to 4.9% and boosted fat reduction by 8.43%. It also reduced abdominal fat and was found to cause a weight loss of 1 kg every 10 days. Capsaicin, the pungent principle of cayenne and red chili peppers has been associated with increased thermogenesis. A study published in American Journal Of Nutrition, 2009 revealed that capsaicinoids taken at a dose of 6mg/day could raise fat burning rates in humans and cause loss of stubborn belly fat. What does this mean? Including spices in diet cannot only increase thermogenesis but also reduces fat deposits and improves satiety thus boosting weight loss. Now there are many diets available, but it is difficult to identify what would work you. But there are some diets which are proven to be healthy and also support weight loss in maximum cases. One of them is the Mediterranean diet. It of whole and fresh food and lacks processed food. Physical activity is a daily essential while red meat is an occasional food item in the Mediterranean diet. Also, it allows a dose of healthy fats and carbohydrates. Observational studies report that higher adherence to MeDiet is strongly associated with lower waist circumference. Another diet that has delivered great results is the low carb diet. Low carb diet, as the name suggests, involves cutting down carbohydrates and this diet started getting popular when increasing obesity rates were linked with carbs rather than fats. A research study conducted by the University of Alabama, Birmingham demonstrated a 4.4.% loss of fat mass in individuals consuming low carbohydrate diet and loss was primarily of abdominal fat tissue. Atkins low carbohydrate diet is found to bring about a weight loss of 9.7kg in 24 weeks and improve insulin sensitivity. What does this mean? It is best to opt for scientifically proven weight loss diets over fad diets. Diets such as Mediterranean diet and low-carb diet can aid in weight loss and improve metabolic health as well. Counting calories is not enough; you should also focus on the time of the day when you eat. What I mean is grazing throughout the day or taking light meals spread over the day is great for weight loss. A study was conducted where 10 women were assigned to a 12-week calorie restricted diet. For 6 weeks one group would consume 70% calories in AM while others would consume 70% calories in PM. Then for the next six weeks, each group would switch over. It was found that weight loss and fat-free mass loss was high in AM pattern while fat loss was greater in PM pattern. Researchers concluded that consuming maximum calories in AM is best for weight loss while eating maximum calories in PM is better for muscle maintenance. What does this mean? Apart from restricting calories, make sure you consume the calories on time. Eating maximum proportion of calories in the AM is found to result in better weight loss. Now, this weight loss tip comes to your rescue when you hit the weight loss plateau and need some help to take it to the next level. Intermittent fasting typically involves periods where you don’t eat food followed by periods when you are allowed to eat foods. A study on an alternate day fasting (ADF) was designed which included a day where only 25% daily energy was consumed followed by a day where you were free to eat anything. Body weight decreased by 5.2 kg and fat mass decreased by 3.6 kg within 12 weeks. Research proves that intermittent fasting fares better than calorie restriction when it comes to weight loss. What does this mean? Practicing intermittent fasting, especially when you hit the weight loss plateau, can help accelerate weight loss. Most individuals following modern diet do not get enough of dietary fiber every day. Dietary fiber aids in weight loss by reducing appetite, slowing down digestion and absorption of fats and carbohydrates and by improving gut health. An 8-week clinical trial reported a weight loss of 5.5 pounds and reduced cholesterol levels with consumption of dietary fiber in the form of 3g glucomannan before meals every day. A clinical trial was conducted to evaluate whether a whole grain oat cereal helps with weight loss and other cardiovascular factors in comparison to other dietary fiber foods. Weight loss was similar in both groups, but a significant decrease in weight circumference and cholesterol was seen in the group consuming oat cereals. What does this mean? Make it a must to consume 20-40g of dietary fiber daily. This can be in the form of fresh fruits, vegetables, oats and other whole grains. I know when you hear this one you will be like it doesn’t work and that is only half the truth. It prevents the development of fat cells. It stops fat formation and deposition. It aids in the breakdown of fats by oxidation and supports thermogenesis (production and utilisation of energy from food). It acts as appetite suppressant. It regulates obesity related genes. It also regulates the activity of hormones that favor fat deposition. It improves antioxidant status which helps in weight loss. As part of the study design, individuals with obesity and metabolic syndrome were given either green tea or green tea extract supplements. A significant decrease in body weight and BMI was seen in both groups. Green tea beverage also brought about a decrease in cholesterol and blood lipids. Also, caffeine present in green tea adds to its fat burning effect. What does this mean? Green tea can act as a natural fat burner and improve weight loss outcomes in combination with diet and exercise. 1-2 cups of green tea per day are advised for weight loss. Most individuals following weight loss diet fail because they assume diet means restriction and starvation. This leads to poor dietary adherence and weight regain. Snacks are permissible in the weight loss journey but only if they are healthy choices. Protein-rich snacks can help in two ways: burn fats and control appetite. Research shows that choosing a healthy high protein snack like yogurt over high fat snack can help improve satiety and reduce subsequent calorie intake. Healthy fat snacks like nuts can also help in appetite control when eaten in moderation. A 24-week study demonstrated that almond-enriched low-calorie diet led to 62% greater reduction in weight, 50% greater reduction in waist circumference and 56% greater reduction in fat mass in comparison to a carbohydrate-rich low-calorie diet. Choose fresh fruits as snacks over artificially sweetened fruit juices. They are more nutritious and satiating as well. What does this mean? Choose your snacks wisely. Opting for high protein snacks like yogurt or high fiber snacks like fruits or nuts is always recommended for weight management. If you ever crave chocolate on a diet, then permit yourself to have some dark chocolate. Antioxidants present in cocoa demonstrate anti-obesity action by suppressing the activity of genes and signaling proteins involved fat metabolism and accumulation. Researchers from the University of California, San Diego found that chocolate consumption frequency was linked to lower BMI irrespective of adjustments for calories, saturated fats, and activity. Dark chocolate consumption is found to be more satiating than milk chocolate. When choosing chocolate for weight loss, make sure it has atleast 70% cocoa. The darker, the better. What does this mean? Dark chocolate is rich in antioxidants which have an anti-obesity effect. Occasional consumption of dark chocolate (70% or more cocoa) can help in weight loss. Sometimes it may be tough to get adequate protein in the diet, but you can always take care of this by supplementing with whey. Whey is the perfect weight loss food which helps to burn fat and build muscle simultaneously. It is a complete protein and rich in vitamins and minerals. It also contains a large number of essential and branched chain amino acids(BCAAs) which are effective at promoting muscle development. Plus these help in appetite control. In fact, it has been proven that whey controls appetite better than casein and soy protein. A study comparing the effect of whey protein or soy protein or carbohydrate on body weight for 23 weeks revealed that in comparison to carbohydrate group, the whey protein group lost 2.3 kg body weight and 1.8 kg fat mass. What does this mean? Adding whey to your diet is a great way of boosting your weight loss outcomes. It is a complete protein and helps burn fat. When you follow an exercise for quite some time, you become adept at it, and your body does not offer the same resistance as before. So the exercise becomes easier than before. Obviously, you can increase the frequency or change the routine. But another interesting but a really fat burning thing that you could do is include intermittent bursts of HIIT. High Intensity Interval Training involves these short bursts of exercise that demand more of your physical efforts and boost your metabolism. High intensity interval training is found to be as effective as moderate intensity continuous training for weight loss. HIIT incorporated in the form of sprints is found to cause a fat loss of 8% in 6 weeks. What does this mean? Including High Intensity Interval Training in regular workouts can help boost metabolism and fat loss. NEAT is Non exercise activity thermogenesis. It is a term coined for every activity apart from sleeping, eating, sports and rigorous exercise. That would be fidgeting, walking or standing. Research states that high effect NEAT movements can result in extra 2000kcal energy expenditure beyond BMR depending upon body weight and level activity. Pacing up during a phone call, dancing while cleaning, taking the stairs, using a standing desk are simple ways to get you started. You could also consider getting a standing desk or small tools to work out your non-dominant hand during your sedentary job activities. What does this mean? Fidgeting, pacing up during a phone call or even using stairs is a good way to burn your calories. Sleep is essential for overall well-being and not just weight loss. Sleep aids in weight loss indirectly. For example, sleep can benefit brain function, and this can impact your mood. The better the mood the reduced desire for addictive cravings and emotional eating. A single night of interrupted sleep is found to leave individuals less full in the afternoon and increased craving for dinner compared to a night of good sleep. Good sleep maintains a good balance of hormones that regulate your body weight. Partial sleep deprivation results in a 40% lower glucose tolerance compared to optimum 12-hour sleep. Also, sleep deprivation may reduce your efforts to lose weight. What does this mean? Make sure you get your 8-12 hours of beauty sleep for that will, in turn, balance your mood and hormones and support your weight loss efforts. Chronic stress contributes to weight gain. Kottwitz et.al have demonstrated that social stressors at work can predict an increase in BMI in women. AusDiab study, 2014 confirmed that psychosocial stress is positively associated with weight gain and not weight loss over a 5 year period. Now it is easy to advise one to ‘de-stress, ’ but at times it can get really difficult to practice it. Reducing stress would mean getting 20-30 minutes off in the day to do something you enjoy whether it is to read, write, play an instrument, dance or paint. It could even a small walk in a serene environment. Walking burns calories as well. For those considering serious practices to de-stress can opt for mind-body techniques. A study published in the American Journal of Preventive Medicine, 2016 reveals that regular users of mind-body practices were less likely to be overweight or obese. In fact, their BMI was less than that of non-users. What does this mean? Stress is positively linked with increase in body weight. Identify techniques to de-stress or manage stress effectively. Opting for mind-body practices like yoga or tai-chi can help in weight loss as well. It is extremely important to have mental support during the weight loss journey. And it is a good option to get this support from weight loss coach or a nutritionist or a psychologist or like minded individuals. Various weight loss support groups exist locally and globally. Research suggests that group therapy results in better weight loss and body mass loss than individual therapy. Using social media to accesses weight loss support groups is beneficial. Facebook weight loss support group along with interactive text message reminders resulted in an average weight loss of 2.4 kg in 8 weeks in college students. Weight loss counseling accelerates your weight loss efforts. Researchers at Baylor College of Medicine have proven this point. 147 individuals were assigned to an intensive behavioral counselling program, and 145 were assigned to self-help condition. Counselling could be accessed either as weekly meetings, mobile apps or online tools. The study lasted for 6 months. Individuals in counselling group experienced a significant reduction in BMI at 6 months and were 8-8.8 times more likely to lose 5-10% of their body weight than self-help group. Internet and Mobile are essential parts of our lives today. Mobile app has taken our world by storm. From ordering a cab to laundry service, one can do almost anything. Another major trend is social networking. What this has to do with weight loss? It does. There is an interesting research paper which analyzed whether people who are more involved with the community in their online weight loss programs fare better than the ones which are not. This essentially means people who share pics, comments, issues and provide feedback etc. within the weight loss community. The researchers studied a large online weight management program with more than 20,000 members. The number is large enough for the study to be relevant and maybe accurate. They tend to stay with the program for a longer period of time. For example, people with no interaction and friends within the community left earlier and in more % than the ones who had atleast one friend. The more involved people were – more they lost weight. The study calculated that the % of weight lost after six months of highly involved members was twice as compared to the non-networked members. The researchers then went further to say, this can prove to be a scalable way to curb the obesity epidemic we are facing. Many of us join online weight loss programs and this insight can help us really get the best out of them. So next time you decide to join an online (or even an offline) program, network well. It will help! What does this mean? Joining a support group or signing up for counselling can give the required motivation and constant support in weight loss journey. And it has been clinically proven that participants opting for this support are likely to lose more weight in short time periods. Mindfulness is perhaps one of the underestimated psychological tools. Simple awareness of emotions, behaviors, surroundings, eating habits can bring profound changes in an individual. A study published in Obesity Research and Clinical Practice, 2016 revealed that mindfulness training had short-term health benefits and further research should be done to assess long-term effects. A clinical trial published in Obesity (Silver Spring Md) 2016 demonstrated that mindfulness training resulted in 1.9 kg weight loss in 12 months. Though not a significant change in body weight, mindfulness training resulted in better blood sugar control and lowered cholesterol levels. A review study by O’Reilly et.al suggested that mindfulness training is effective in treating obesity-related eating behaviors and emotional eating. Practicing mindfulness may not significantly impact weight loss but a few minutes of mindfulness practiced weekly can improve sleep quality. A really interesting study published in the International Journal of Behavioral Medicine, 2016 defines dispositional mindfulness as ‘the ability to attend nonjudgmentally to one’s own physical and mental processes’. After observing 394 individuals, the study reported that dispositional mindfulness might be inversely associated with obesity and central adiposity (belly fat and trunk fat). What does this mean? Mindfulness practice can improve eating behaviors, sleep quality and self-care which may not have an immediate effect on body weight but on long term can improve metabolic health. A clinical trial (read here) was conducted to assess whether weight loss outcome was higher in commercial weight loss programs or in primary care settings. 722 overweight and obese adults were recruited in the study from Australia, Germany and UK. They were randomly split into two groups where one received 12 months of standard care and the other received 12 months of free membership to a commercial weight loss program. The commercial program involved the prescription of healthy, low calorie diet, increased physical activity and group support. Individuals were called for weekly meetings for counselling, group discussion and weight measurement. They also had access to internet based systems to monitor weight and food habits, to participate in forums and obtain information. In the standard care group, individuals received guidance and treatment for weight loss from their general practitioner. The professionals involved in this group were asked to follow national treatment guidelines observed in UK, Australia and Germany. Individuals belonging to the commercial program group lost twice the weight lost by the standard care group. Participants in the commercial program had the odds of losing 5 to 10% more weight than the standard care group. Large reductions in waist circumference and fat mass were observed in the commercial program group. Modest improvements in cholesterol, insulin, blood pressure and glucose levels were observed over 12 months. Although weight loss in standard care group was lesser than other group, 25% of the individuals in this group lost 5% or more of initial bodyweight. 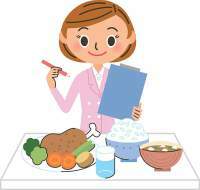 The commercial program incorporated a variety of techniques to aid in weight loss such as: self monitoring, goal setting, advice on diet, motivation, guidelines about exercise and prevention of relapse. Commercial programs are directed to a larger group and hence are less expensive. In this case, the membership was free, which could be another psychological factor playing an important role in a better outcome. The factor of peer support involved in the commercial program can be beneficial to some individuals. Since higher weight loss was observed in commercial program participants from all three countries, it can be generalized that there is a trend for preferring commercial programs over standard care. However, we cannot ignore the weight loss observed in the standard care group. Focus and attention available at an individual level, frequent contact and monitoring of weight, treatment in accordance with clinical guidelines and reduced group interaction could be few of the factors responsible for the outcome in this group. According to the study, individuals referred to a commercial weight loss program lose more weight than those who receive personalized standard care. Results of the study suggest that group activity for weight loss is effective in terms of losing weight and expenses involved. However, this is subject to one’s nature and preferences. A study was conducted in U.K. to determine whether smart phone apps serve as an engaging weight management program. 128 overweight individuals participated in the study and they were randomly divided into groups based on different weight management interventions: smart phone application group, website group and paper diary group. The smart phone application used in the trial was My Meal Mate. This app assisted the volunteers in setting goals, monitoring diet and activity and also provided feedback in terms of weekly text messages. The website group made use of Weight Loss Resources, a commercial website aimed at weight loss and management. Percentage of people who continued following the group was 93% for the smartphone group, 55% for website group and 53% for paper diaries. Average weight loss at the end of 6 months was 4.6 kg for smart phone app group, 2.9kg for paper diary group and 1.3kg for website group. The smart phone app was rated highly for satisfaction and acceptability. Smart phone apps for weight loss make self monitoring convenient. These apps are beneficial to people who would want to avoid face to face meetings. Also, these applications reach a greater population than primary care facilities and hence it serves as a cost effective strategy. Smart phone apps provide up to date tracking of physical activity and diet which is easily accessible from any location. These features are limited or perhaps even missing in website and paper diary interventions, thus making smart phone apps popular. According to the study, smart phone applications for weight loss can serve as an innovative intervention. They are acceptable and feasible to use by the general population. Significant weight loss outcomes can be achieved with smart phone apps. So when given a choice between different technological and social media interventions, it would be wise to chose smart phone apps. The applications make weight loss programs easier with facilities and tips available at your fingertips and up to date monitoring from any location. This saves you from hassles of personal interaction and expenses of health care visits. Go ahead and make your pick from the different on-the-go weight loss apps. So that was a short list of weight loss tips that are backed by science and proven to work. Choosing even 5 tips from these, which are a combination of dietary, exercise related and behavioral changes and following them with dedication, can help you achieve your desired body weight. For more such evidence-based weight loss tips, feel free to browse our website. How Many Calories Should I Take For Weight Loss?